Opera is a popular web browser with an abundance of features. 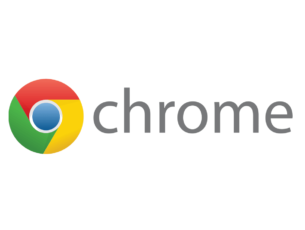 Although this browser isn’t as popular as Chrome or Firefox, it’s still has a dedicated user base. If you’re using Opera and you’re looking for an antivirus software, today we’re going to show you the best antivirus tools that work with Opera. All antivirus applications are fully compatible with all web browsers, and the only difference is that some antivirus applications come with a dedicated browser extension. This browser extension will scan the websites you visit and show you harmful web results. Even though some applications on our list don’t have a dedicated extension for Opera, they offer great security and reliability, so you should try them out regardless. 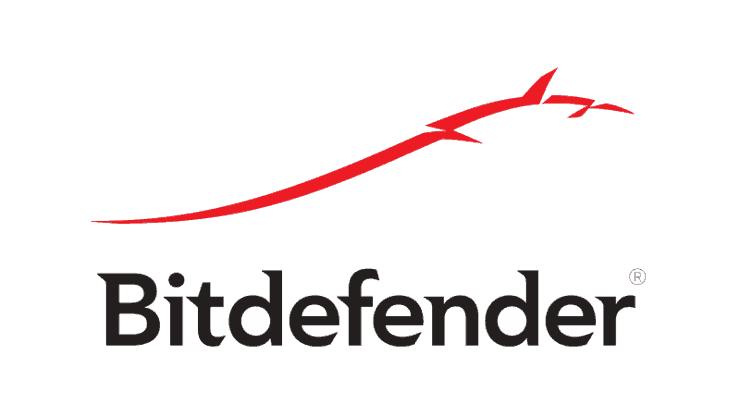 A great antivirus for Opera is Bitdefender. Bitdefender Antivirus offers protection against all sorts of malware which makes it a complete data protection solution. The application uses behavioral detection to monitor your apps, and if any suspicious action is detected, you’ll be alerted immediately. In addition to standard malware, Bitdefender Antivirus offers protection against ransomware, and it also provides anti-phishing and anti-fraud detection. In order to protect your online credentials, Bitdefender Antivirus also has a Secure Browsing feature that will scan all your links and search results ensuring their validity. The application also has a Rescue Mode that is useful in removing rootkits and other malware that can appear before your Windows starts. Bitdefender Antivirus is optimized to be light on your resources, and it also comes with Game, Movie and Work modes so you can focus on your work without any interference. It’s also worth mentioning that Bitdefender has Global Protective Network feature and it performs heavy scanning in the cloud without affecting your performance. As for additional features, Bitdefender has its own secure browser, social network protection, password manager and file shredder. We also have to mention Vulnerability Scanner feature that scans your PC for vulnerabilities and informs you if you need to make any security-related changes. If you want additional protection, Bitdefender Internet Security version has webcam protection that prevents malicious users from activating your webcam without your knowledge. This version also has Safe File feature that can prevent unauthorized users and applications from modifying your files. There’s also parental control feature so you can block harmful websites and limit Internet use. 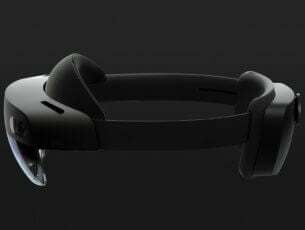 Speaking of protection, this version also has a built-in firewall so you can control which applications can access the Internet. For complete protection, there’s Bitdefender Total Security version that has all the features from the previous version. However, this version also has anti-theft features that allow you to easily track your laptop or tablet if it gets stolen. Bitdefender Antivirus is a great tool and it’s a perfect antivirus for Opera, so be sure to try it out. Another great anti-malware to use with Opera Browser is Emsisoft’s Anti-Malware tool. This tool offers protection against over 300 000 daily threats. This tool is designed to work on low-specs PCs and laptops so even if you have an older PC, it will work whithout any problems. This tool has a various range of features in its arsenal, but the most notorious is Behaviour Blocker. This an extremely useful feature that monitors all downloaded and modified files and blocks or isolates them as soon as it detects something strange. 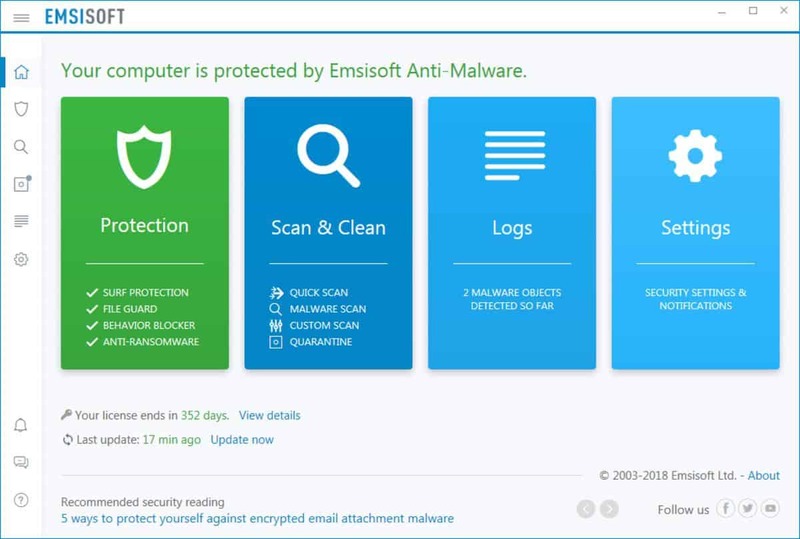 Emsisoft Anti-Malware also uses a dual-engine scan system that enforces your security. Hourly updates keep all new threats away and it also gives you past logs so you can analyze all threats that have been detected. This is a great tool to use with opera, especially when the last test shows that Opera isn’t so well-protected. You will find Emsisoft in the link below at a great price. BullGuard comes with real-time protection designed to protect you from all types of malware. The application can also prevent phishing attacks and protect your sensitive information such as online credentials and banking data. In addition, it can also protect you from ransomware and prevent hackers from hijacking your files and PC. The application uses triple protection so it can easily recognize malicious code in any application. Since BullGuard is constantly scanning your PC, any potentially malicious files will be moved to quarantine as soon as they are detected. There are many ways for malicious software to infect your PC, and this is why BullGuard has a Vulnerability Scanner feature. To make sure that your computer is safe, it’s important to install security updates and keep your antivirus definitions up to date. Thanks to the Vulnerability Scanner, you’ll be notified if you’re missing an important update or if you’re using an unsafe Wi-Fi network. This feature also scans downloaded applications for valid digital signatures in order to prevent malicious applications from running. BullGuard cross-references your network protocol against your ISP’s profile and checks network encryption in order to provide the maximum security. If you’re a gamer, you’ll be pleased to hear that BullGuard comes with a Game Booster mode that keeps your antivirus software running quietly in the background during gaming sessions. 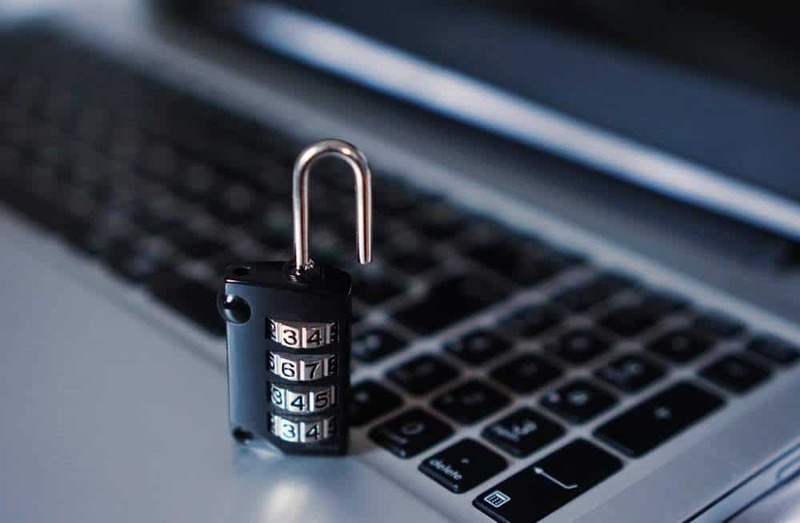 The basic version of BullGuard offers great features, but if you need better protection, you might want to consider BullGuard Internet Security. This version has Parental Control feature so you can easily block harmful websites, apply search filters, limit Internet use and monitor online activity. Another feature of this version is a built-in firewall that gives you end-to-end protection. Using this feature you can easily prevent unauthorized applications from connecting to the Internet. For ultimate protection, BullGuard offers Premium Protection version. This version has a home network scanner feature that can scan all your network devices for vulnerabilities. There’s also Identify Protection feature, and using this feature you’ll be alerted if any of your personal information is published online. Overall, BullGuard antivirus offers great features, even in the basic version, and we strongly recommend you to try it out. Panda Antivirus is another antivirus for Opera, but it also comes with some hidden features. The basic version offers real-time protection for your PC, but it also offers bidirectional firewall to protect your Wi-Fi network. Speaking of Wi-Fi networks, this tool can also scan your Wi-Fi connection for vulnerabilities. In addition, this tool can protect your identity online and stop online frauds, identity theft, and phishing attempts. In addition to antivirus protection, Panda Antivirus Pro also works as Android antivirus. The tool also has Anti-theft feature for Android so you can easily locate, lock or wipe your device remotely. Panda Internet Security is compatible with both Mac and Windows, and it also has Parental Control feature so you can easily block harmful websites. There’s also a Data Shield feature that allows you to protect your data from unauthorized access. This feature can be useful since it will protect your PC from ransomware. The last version is Panda Global Protection, and this version has all previously mentioned features, but it also has a password manager and a file shredder. In addition, there’s also a file encryption feature so you can easily encrypt and protect your files. Panda Antivirus is a great antivirus for Opera and your PC, so be sure to try it out. If you’re looking for an antivirus for Opera, we have to mention Avira. This antivirus offers real-time protection against malware, but it can also protect you from ransomware. Unlike other antivirus applications on our list, Avira Antivirus has a built-in VPN, which can be useful to some users. The application comes with a browser extension that can protect your privacy and prevent phishing attacks. In addition, this extension can also block malicious websites. The extension can also highlight infected websites in your search results, so you’ll never visit a malicious website. Another feature of Avira is its built-in password manager so all your online passwords will be stored and protected by a master password. Avira Antivirus also offers System Speedup feature that can optimize and improve your PC speed. 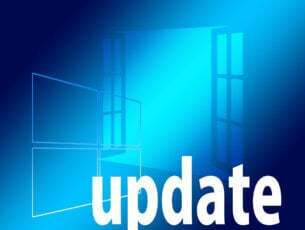 There’s also a software updater tool that checks if your installed applications are up to date. This feature can be useful in finding security vulnerabilities on your PC. For more protection, there’s an Avira Prime available as well. This version has premium antivirus protection, unlimited VPN and the full version of Tune-up tools. In addition, this version has premium mobile apps available. Avira Antivirus is a great antivirus for Opera, and it’s completely free to use. However, if you want to get access to advanced features, you’ll need to purchase a license. If you need antivirus for Opera, you might want to consider Avast Antivirus. Just like other tools on our list, Avast will protect you from malware and spyware. In addition, this tool also has phishing protection that will prevent malicious users from stealing your personal data. Avast has Game Mode that allows you to run your favorite games smoothly and without interruptions. We also have to mention that there’s a Behavior Shield feature that will alert you if any application is acting out of the ordinary. 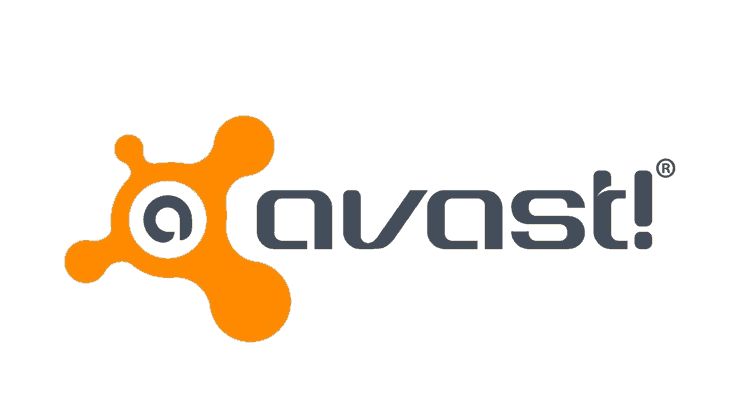 To ensure your safety, Avast will send suspicious files for analysis to the cloud for scanning. The application has a Wi-Fi Inspector feature that will scan your Wi-Fi network for any weaknesses. In addition to Wi-Fi, thanks to Smart Scan feature you can easily find other vulnerabilities on your PC. Lastly, the application has it’s own password manager, so all your passwords will be safe from malicious users. For more security, there’s Avast Internet Security version. This version comes with a built-in firewall and anti-spam feature. In addition, there’s also DNS protection, so hackers won’t be able to trick you into visiting fake websites. Avast Internet Security also has Ransomware shield as well as Sandbox feature that will run suspicious files in a safe environment without affecting your PC. As for additional features, there’s a passive mode that allows you to use another antivirus alongside Avast. Lastly, there’s a Browser Cleanup feature that will remove unwanted extensions, toolbars, and add-ons. If you require more protection, there’s also Avast Premier available as well. This version will stop hackers from activating your webcam, but this version can also automatically update outdated applications in order to minimize security risks. Lastly, the application has file shredding option so you can permanently delete sensitive files. Overall, Avast is a great antivirus for Opera, and since the basic version is free, feel free to try it out. If you’re looking for an antivirus for Opera, feel free to try any application from our list. As for our top pick, we would recommend Bitdefender or Bullguard, but any other application from this list should provide solid protection for your PC. Editor’s Note: This post was originally published in January 2018 and has been since revamped and updated with new products so our users would have a wider range of alternatives.